The Huawei Mate 20 RS Porsche Design edition of the Mate 20 is basically the same as the Mate 20 Pro, but with a premium design, additional storage, and a very high price. The RS version was announced alongside the Mate 20, Mate 20 X and Mate 20 Pro. 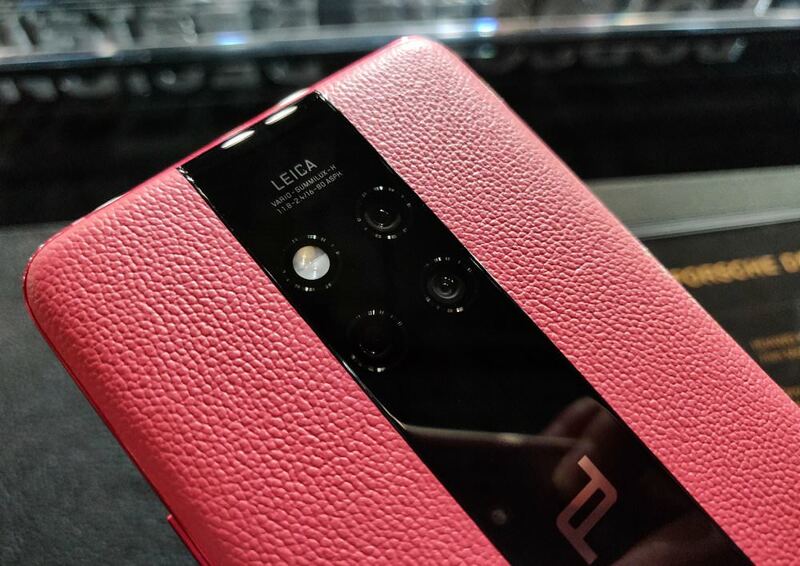 The Mate 20 RS features the same 6.39inch screen, a large 4200mAh battery, and the same Leica Triple Camera as the Mate 20 Pro, however the glass on the back is flush with the camera lenses. The three cameras on the back include an ultra-wide-angle 20mp camera, a standard wide-angle 40mp camera (with a larger sensor), and a telephoto 8mp camera. We've started shooting with the Mate 20 Pro, so you can have a look at sample photos to see how the Mate 20 RS should perform. The Mate 20 RS has been introduced in black or red colour options, with a price of 1699 Euros for the 8GB + 256GB version, or 2099 Euros for the 8GB + 512GB version.